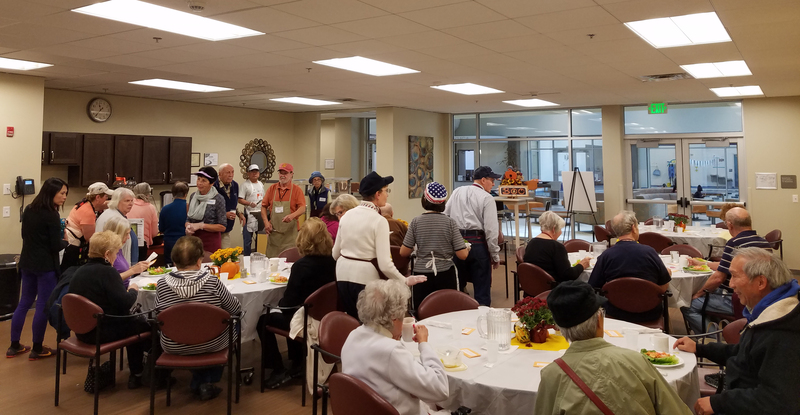 The PEAK Center provides a daily nutritionally-balanced meal while encouraging social interactions with others. We provide eligible adults with a variety of foods from the basic food groups, leading to an overall healthier diet. *Eligible persons, aged 60 and above or disabled, (or the spouse of an eligible person), are requested to make an anonymous voluntary contribution of $2.00 for the meal program. These funds are returned to Montgomery County Aging and Adult Services for redistribution to support nutrition programs throughout Montgomery County. We are able to provide this program with support of: Montgomery County Aging and Adult Services, United Way of Greater Philadelphia and Southern New Jersey, The Connelly Foundation, W.W. Smith Charitable Trust, The VNA Foundation of Greater North Penn, The Patricia Kind Foundation and other corporate and individual donations. Lunch is served at 11:30 AM to 1:00 PM Monday - Friday. Advanced sign up required – must sign up at Welcome Desk (215-362-7432) by Thursday of the week before you plan to join us. The community member price (persons under the age of 60) is $6.95.